Updated 9:57AM, Monday October 29th, 2012	by Sam Hailes, Christian.co.uk Be the first to comment! 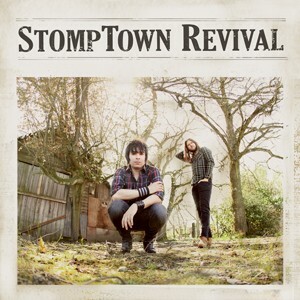 Stomptown Revival’s name aptly describes their music. Gospel, blues and American roots songs are the order of the day on their debut self titled EP. Made up of two men who are no strangers to Christian music, the duo have experience in production, live performance and studio recording. Friends for almost 10 years, Brandon Bee and Gabe Martinez never planned to release an album together. “We were getting together about a year ago for our own projects and ended up writing music that didn’t make any sense for either of us. We didn’t even think about releasing anything, it was just writing music because we loved it,” Brandon explains. When the two guitarists and singers finally decided to press the all-important record button, they weren’t convinced many people outside of their immediate friends and family would enjoy the EP. “The fact it’s getting some nice responses is actually very shocking to both of us. We’re pleasantly surprised that something like this is being widely accepted,” Gabe explains. With no radio backing or grand marketing strategy, the duo admitted to getting a kick out of seeing their EP, 'Stomptown Revival', hit the top 10 in the US iTunes chart. Their folk-like sound means Stomptown Revival are inevitably compared with Mumford and Sons. Brandon even describes such comparisons as “the elephant in the room”. It’s a fascinating concept that so many people exploring older styles of music also have a Christian faith. Whether it’s Rend Collective Experiment in Ireland or Stomptown Revival in America, Christians appear to be leading the way in rediscovering old sounds. For Stomptown, these old sounds are inspired by the likes of Johnny Cash, Willie Nelson and Robert Johnson. This inspiration is demonstrated in everything from the gospel influenced lyrics to the very instruments they play. The stompbox is described by the duo as a speaker glued inside of a box which acts like a kick drum for both the recording and live performances. The big bassy sound is a hallmark of the band’s sound. As well as this stompbox influencing the band’s name, the concepts of mission and ‘heart songs’ has also had a profound effect. “Gabe saw the need for Italians to write their own brand of worship music with their own heart and language. When I came home from one of those trips, I was really challenged by that. Everything I was playing was influenced by you guys in the UK! Brandon is clear that the genre of music the duo have created was not part of any kind of plan. To read on, visit our Album Review to see what I through of Stomptown's EP.